Minerals and Vitamins: Big Deal! Many minerals and vitamins are important for your health, especially for your bone health. Calcium, magnesium, and zinc are some of the important minerals we need. Each one alone is important for bone health and but working together they are even more effective. Bone mass naturally decreases with age. Osteopenia occurs when your bone density is lower than it should be but not low enough to be osteoporosis. The first stage of osteoporosis is osteopenia. At that point, you are at a greater risk of bone fractures. Luckily, there are some actions you can take and habits you can nurture to prevent loss of bone mass and keep your bones strong and healthy! Calcium is essential for bone health. By drinking milk or eating yogurt or cheese, you will help your body to fight bone loss. The calcium you intake with food is necessary for bone health. However, you have many options when it comes to getting your daily recommended intake of calcium. For instance, green leafy vegetables like kale, spinach, and collards are great sources of calcium. A spinach salad could have just as much calcium as a glass of milk. Legumes such as white beans are rich in calcium. Canned salmon and sardines are also very nutritious. Other great sources of calcium are bok choy, black-eyed peas, almonds, turnip greens and sesame seeds. You may be surprised at some other foods that are also calcium-rich. They include dried figs, blackstrap molasses, oranges (of course), seaweed, instant oatmeal, soymilk, firm tofu, and cheerios. Nature’s Bounty Absorbable Calcium 1200mg Plus 1000IU Vitamin D3, Softgels is a great source of calcium as well as vitamin D3. Did you know that there are loads of vegan calcium rich sources? They include green leafy vegetables, collards, turnips, and kale, to name a few, as well as artichokes, oranges, almond butter, sesame seeds, navy beans and so much more. It is not difficult to get your supply of calcium. Read here about so many more vegan sources of calcium to be sure you get your vitamins and minerals. Vitamin D aids in the absorption of calcium. The importance of vitamin D along with calcium cannot be overstated. They work better together than just one or the other. The same foods that supply calcium will often supply vitamin D.
Your body manufactures vitamin D thru sunlight. It is a good idea to get some sunlight every day. It is difficult to determine exactly how much is needed in order to produce the vitamin D that is essential. Getting a sunburn is never a good idea and we all know the disadvantages of too much sunlight. You need to find the right balance. Just remember, some vitamin D is important so some sunlight daily is key to your well-being. It is always best to get nutrients such as calcium from your diet. If you are not getting the recommended amount of calcium or vitamin D, supplements can be considered. However, a varied diet is the best source of the vitamins and minerals your body needs. Supplements are often suggested but they are not always the best solution. Calcium is not absorbed by your body as effectively with supplements as it is through your daily diet. Many experts in the medical field are concerned that calcium supplements supply too much calcium. For women over the age of 40, the recommended daily intake of calcium is from 1,000 mg to 1,500 mg. The recommended intake for men is 1,000 mg per day. More is not really better. Over medicating on calcium supplements (usually over-the-counter and not by prescription) will lead to more problems. Too much calcium can lead to kidney and heart problems as well as kidney stones. It is counterintuitive but too much calcium can weaken your bones. You should concentrate on getting your vitamins and minerals from your food, but take a supplement when you are not. Magnesium is important for your heart and blood vessels. It helps your body absorb calcium as well as being a force for the growth and maintenance of your bones. An added advantage is that it will help you to avoid constipation. The same leafy greens that have calcium often supply the magnesium you need as well. Eating fish, avocados and bananas will add this important mineral to your diet. If you are taking magnesium supplements it is important to be mindful of the amounts. The National Institute of Health (NIH) suggests a woman needs 280-300 mg of magnesium daily and a man needs 270-400 mg. If a woman is breastfeeding or pregnant her needed amounts increase. Doctor’s Best supplies 200 mg of magnesium. Doctor’s Best supplies 200 mg of magnesium . Vitamin C is essential for the growth and repair of cell tissue. We have all heard that vitamin C will also help fight colds. It is difficult to completely avoid getting a cold but it is worth the effort to get vitamin C to help. Oranges have vitamin C but broccoli has even more. Broccoli is often called the perfect food as it supplies so many of our dietary needs. Try Vitamin C from Nature’s Bounty. Zinc works with vitamin C in delaying the progression of macular degeneration. This mineral is very important to our well being and it is a major factor in healing cuts and wounds. However, only small amounts of zinc are necessary for our health. It is a fact that zinc helps to boost our immune system. In conjunction with vitamin C, it will also help to reduce the impact of the common cold. Cold-Eeze Cold Remedy Lozenges are a great option when you feel that you are coming down with a cold. All minerals are important to our general health. But as in all things, too much of a good thing is not a good thing. 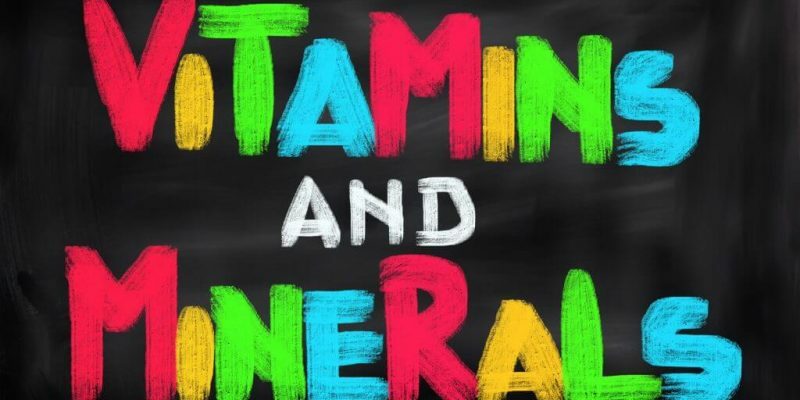 Too much of any vitamin or mineral may be as harmful as too little. By eating a rich and varied diet, you will get the vitamins and minerals your body needs. It is always best to talk to your physician about any supplements you may be taking. They are especially important if you are not getting the needed minerals and vitamins in your diet. However, the goal is to obtain these items through the foods you eat. If you do not, then supplements are ideal. Be sure to eat a well-balanced diet to ensure that you get all the nutrients needed to strengthen your bones! All of those minerals and vitamins are important to your health. Read more at Guide For Seniors about what food your body needs! For those looking to learn more about this topic, we’ve included a host of resources below. These include products that may be useful, links to other organizations, and places to find more information from quality sources. iHerb has a variety of minerals and vitamins for sale that we all need. Recipe: Delicious grilled piri piri sardines on crusty bread. This article includes the recipe complete with step-by-step pictures and detailed instructions.